Issue #8 saw a price hike as it jumped from 25 cents to a whopping 35 cents. Still only 24 pages though. And subscriptions remained at $5 for 26 issues ($10 for 52). 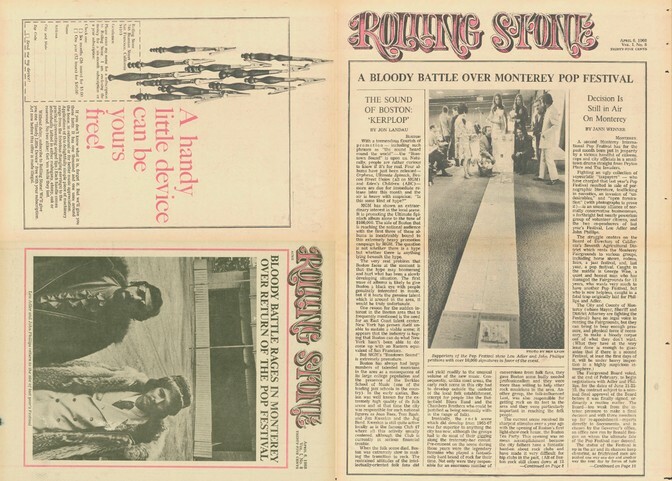 This is the layout that Rolling Stone would maintain until issue #142 in 1973 when it expanded into a larger magazine format without the fold at all. My favorite part of this issue is a letter to the editor from the drummer of a rather famous rock and roll combo whose new album had been panned in issue #5. The idea that this little underground newspaper was being seen, read, and acknowledged by the very rock royalty it was covering must have thrilled the 22-year-old Jann Wenner. 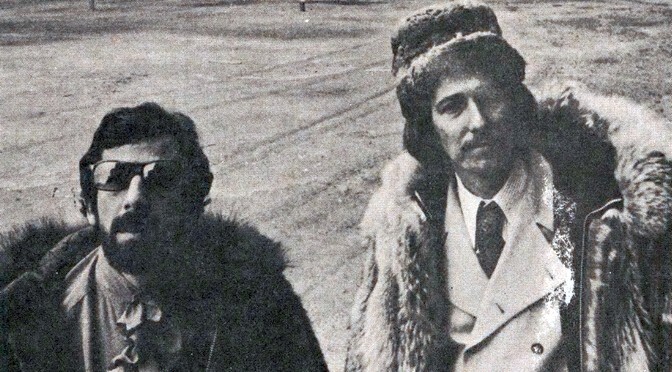 Then again, according to Joe Hagan’s Sticky Fingers, by this time Wenner had already received a cease-and-desist letter from the Rolling Stones’ manager, Allen Klein, claiming misappropriation of their name as well as violation of their copyright. But at least Charlie had a sense of humor about it! Full-page ads: Father is Child to the Man by Blood, Sweat and Tears on Columbia, God Bless Tiny Tim by Tiny Tim on Reprise, The Super Super Blues Band by Howlin’ Wolf, Muddy Waters & Bo Diddley on Checker, and the Billboard Bookshelf. Half-page ads: Boogie with Canned Heat by Canned Heat on Liberty, ABC Records (“A Groovy Future” ad highlighting Steppenwolf, the Dirty Blues Band, Eden’s Children, and others), Like It Is by Donovan on Hickory, For What It’s Worth by the Staple Singers on Epic, Music Inspired By The Rip Roarin’ Electrifying Sound Of “Bonnie And Clyde” by Charles Strouse on Epic, and Vincebus Eruptum by Blue Cheer on Philips. Ralph Gleason used his “Perspectives” column to rail against the bigotry and hypocrisy of the straight world and to argue for the legalization of marijuana. The law will be changed. I don’t know how soon but it is obvious you cannot enforce it without busting the Establishment’s own children (judges’ sons, diplomats’ sons, ballet dancers, the son of the California Assembly speaker, etc., etc., etc. Prohibition was unenforceable for precisely the same reason. Too many people. Well, you’d think. I guess Gleason couldn’t imagine the amount of selective enforcement that would take place over the next fifty years. I suppose we’re getting closer as more and more states decriminalize. But who knows? Let’s check back in another 50 years to see how much progress we’ve made. Previously: Issue 2, 4, 5, 6, 7.